Delivery took 12 days which is ok with me. Do be patient. Items well packed and genuine. Price is very attractive with coupon. Recommended seller! 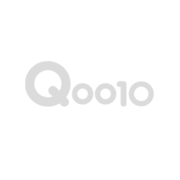 Hi, so convenient shopping @Qoo10 item received in good condition. I’ve ordered a few items on this appt. Delivery fast & responsible driver. Would like to recommend to my friends & relatives. Will still continue shopping in future.